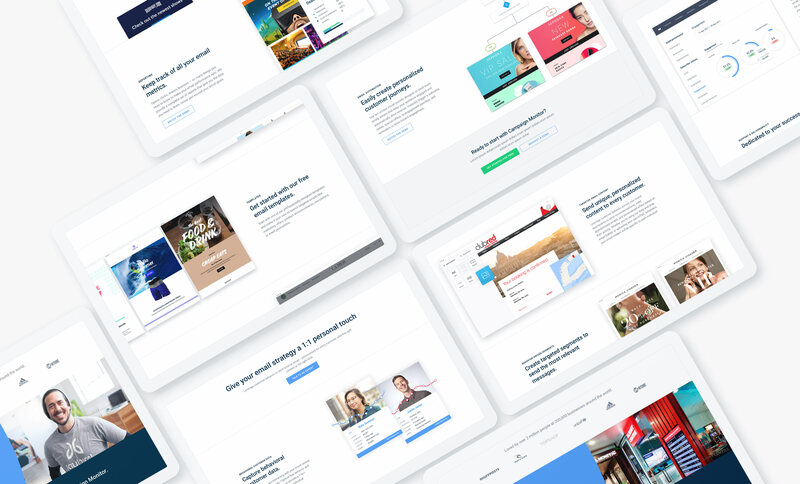 Building a website that inspires and converts. Campaign Monitor is a global software company that builds email marketing software. 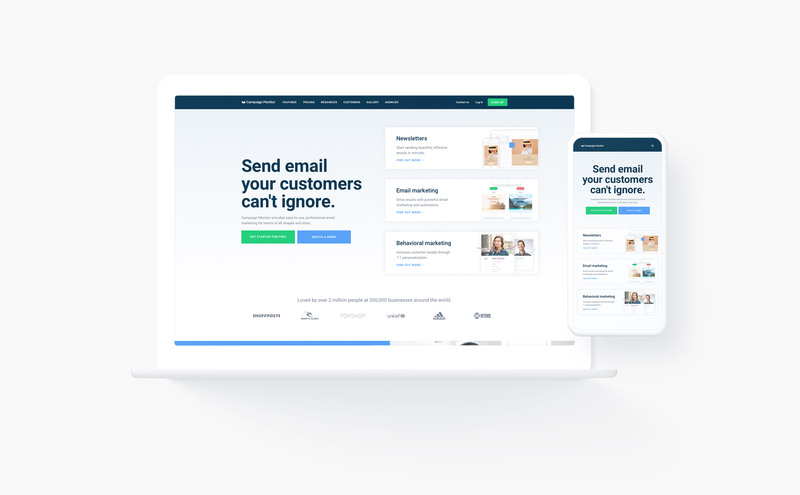 They are a passionate group that stands for simple, powerful email marketing and automation that helps growing businesses. They deliver technology that solves complex problems in a beautifully uncomplicated way. As Creative Team Lead, my role encompassed leading a team of designers, developers, and copywriters to best serve the company as a whole. One of the most important aspects of the role was looking after the website. As a SaaS company, the website is critical in converting prospects into customers. 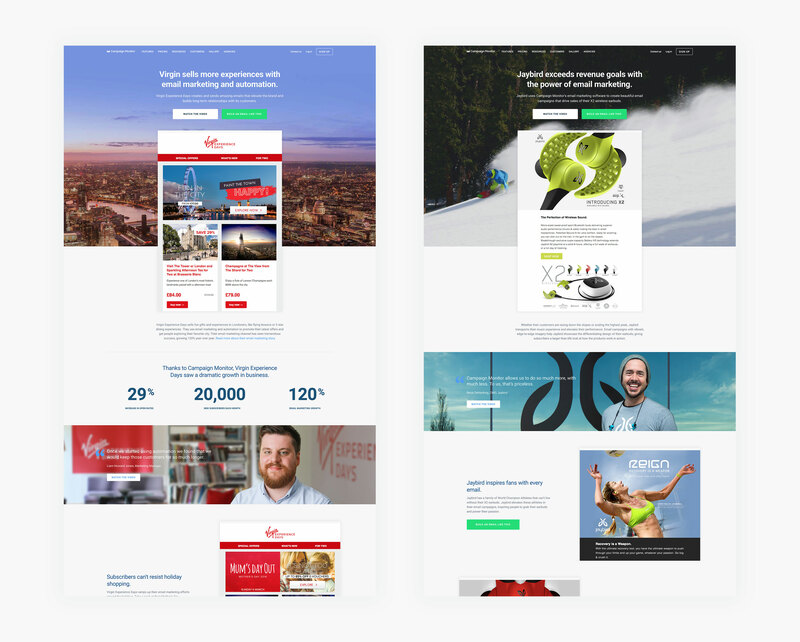 Below is an example of a homepage CRO test we performed to increase conversion. In this test, we wanted to gain insight into audience sophistication and what features resonated with the audience. Monitoring the results through, Crazy Egg, Optimizly, Google analytics and Marketo we were able to gain real insight into our audience, In turn affecting messaging an design strategy in the future. Below are a number of features pages we tested. All tailored to the level of sophistication. An essential marketing tool for Campaign Monitor is the CSS guide. 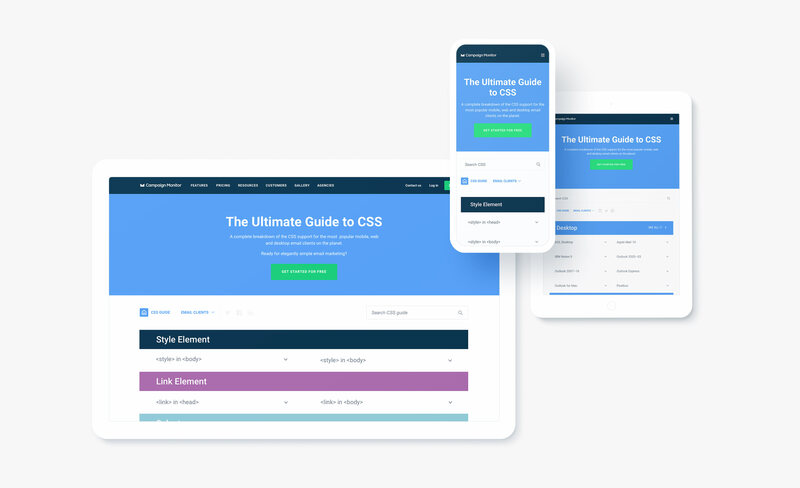 It contains a complete breakdown of the CSS support for the most popular mobile, web and desktop email clients on the planet. It receives over 400k views a month and is a vital tool for email developers around the world. The guide needed the ability to be updated on a continual basis. Behind the scenes, we added a content management system which means keeping it updated is a much smoother process than before. 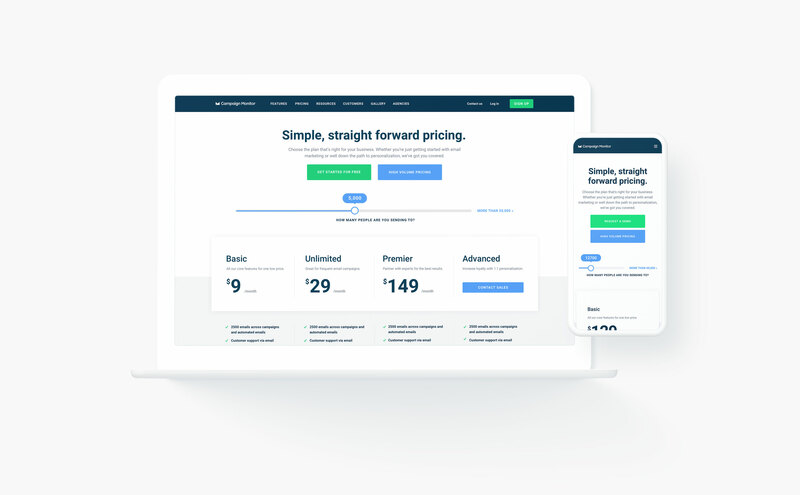 The pricing page is the highest converting page on the Campaign Monitor website. After multiple tests and iterations, the final design of the page is below. 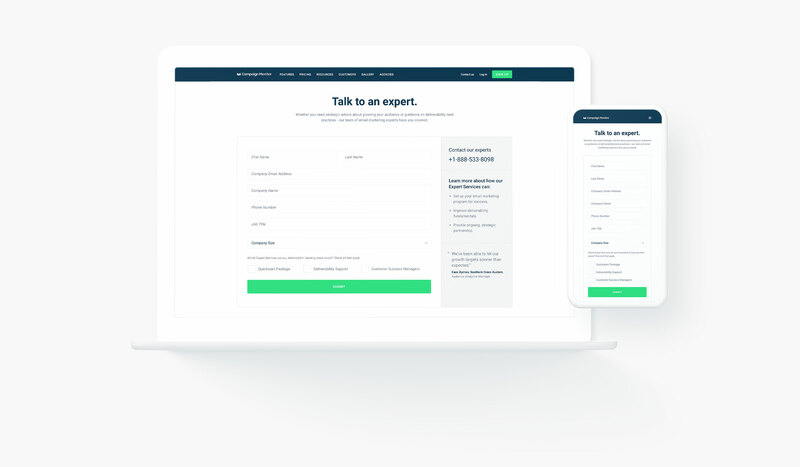 Messaging, button placement, slider alternatives and the number of plans show were all explored through design and testing. For such an important page it was imperative to review and analyze data. We could then implement key learnings into the new design concepts. 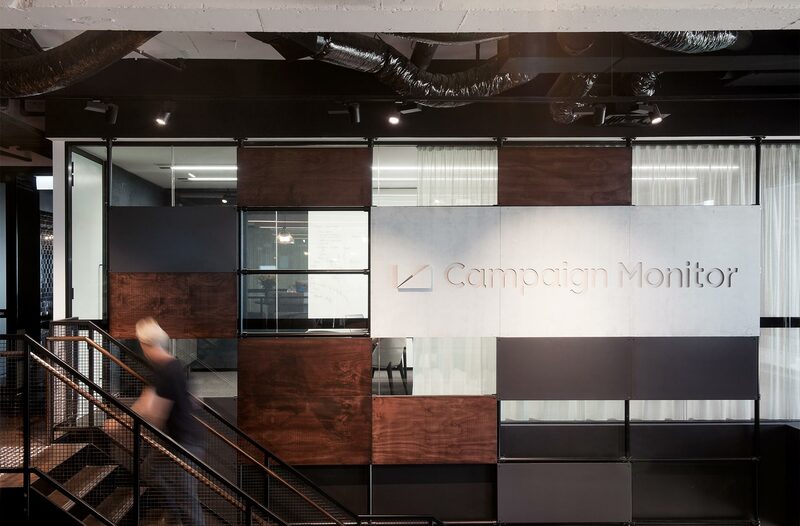 Campaign Monitor's customers are some of the best-loved brands in the world. 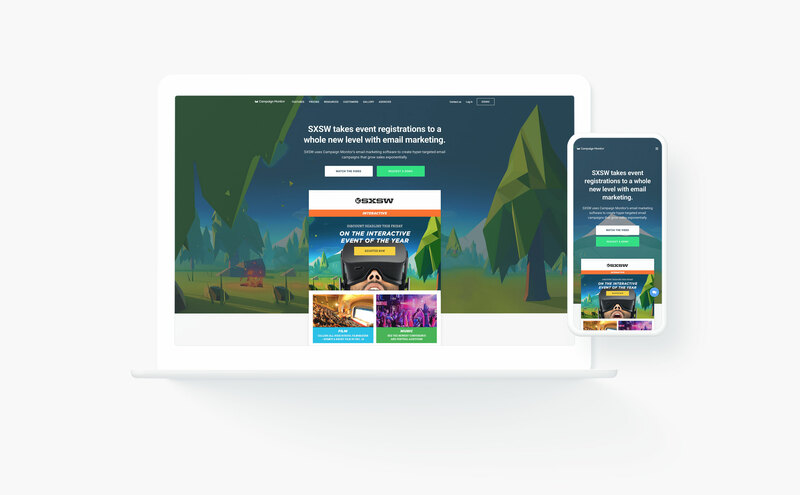 To share their stories and successes with email marketing, I created a templated case-study. Build in Wordpress, this template could be duplicated and updated quickly for new customers. This was a well-received tool for marketing and sales. By showing examples and results of aspirational companies, it helped close multiple sales deals.